Scientists are now finding research that the gene responsible for red hair and freckles may have actually come from Neanderthal man. It is believed that the gene could be as much as 100,000 years old and was found in Neanderthals living in Europe. They believe that the gene was passed to our Homo sapiens ancestors about 40,000 years ago. That was when our ancestors migrated to the area from Africa. Neanderthals were taller than members of the Homo sapiens species and had much stockier builds. Their faces were larger than those of Homo sapiens ancestors and had large noses and chins and foreheads that receded. Our ancestors, who belonged to the Cro-Magnon branch of Homo sapiens, were able to co-exist with Neanderthals for about 10,000 years. It is believed that the two species may have interbred in order for the gene to pass from one species to the next. It is the MC1R gene that is responsible for red hair and freckles. It is believed that Neanderthals that possessed the MC1R gene may actually have looked very similar to that of modern Europeans. Having light skin was actually an evolutionary advantage for these Neanderthals. It meant that the individuals who had light skin and red hair were capable of absorbing more vitamin D from sunlight. In Europe, where there are clouds the majority of the time, this would have been a distinct advantage. 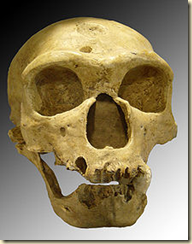 Other discoveries have been made that are changing scientists’ beliefs about Neanderthals. They were originally believed to have only rudimentary speech. Scientists and archaeologists have long thought that Neanderthals had a vocabulary of only about 70 words and that their speech was likely very guttural. New research is beginning to show that that may not have been the case. It is now theorized that Neanderthals may have had a much more sophisticated language than was originally thought. Archaeologists have also found painted shells in Spain that prove that Neanderthals created artwork, something that experts did not think they did. The painted shells were a form of body art or jewelry. 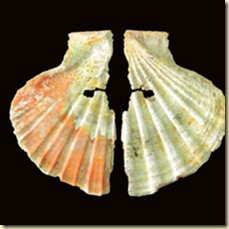 Similar shells had been found in Africa and in the Near East and dated from 70,000 to 120,000 years ago. 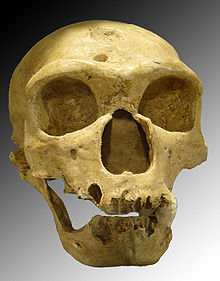 When they were found, they were attributed to our ancestors and not to members of the Neanderthal species. Scientists and archaeologists are now thinking that jewelry that was believed to have been created by Cro-Magnon man may have been created by Neanderthals instead. The shells were painted with traces of mineral pigments. In some cases, tools used to paint the shells were found as well. There was no proof that the items had been painted at random as there were no traces of pigments found on other items such as food or other stone tools. Not only was it obvious that the painting of the items was deliberate, some of the mineral pigments came from a distance away. This meant that they needed to be transported to the new area specifically for the purpose of creating artwork. Some shells were used as paint cups and others were decorated for use as body art or jewelry. Could this mean that the fair-skinned, red-haired, freckled Celtic people in Ireland and other parts of Great Britian could be the closet living genetic link to the Neanderthal! I am 56 years old and still have long, thick, naturally red hair. How unusual is this and what does it say anything about my ancestry? Red haired people have ruled the world for thousands of years. Literally. All the European rulers were red haired. Caesar was a red head.The term Caesar” originally meant “red head. So was Mohamed. Alexander and Cleopatra were both red heads.